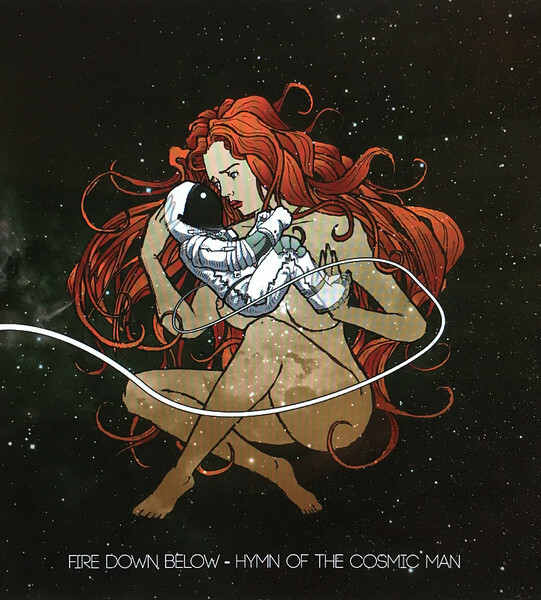 “Hymn of the Cosmic Man” is the second album from Belgian band Fire Down Below and it was released via Ripple Music on 8th June. Fire Down Below are a stoner rock band and that’s a genre I don’t feature that often, but something about this album just clicked with me. I included the tracks “Saviour of Man” on the NI Rocks A-Z Show on 15th May and “Ascension” on the Friday NI Rocks Show on 8th June. Fire Down Below formed in Ghent in 2015 and self-released their debut album “Viper Vixen Goddess Saint” in 2016. That album was then picked up by Ripple Music and re-released in June 2017. The press release for the new album describes it as a “melee of fuzzed-out stoner rock, heavy psych and grunge”. Whatever you want to call it, I like it!